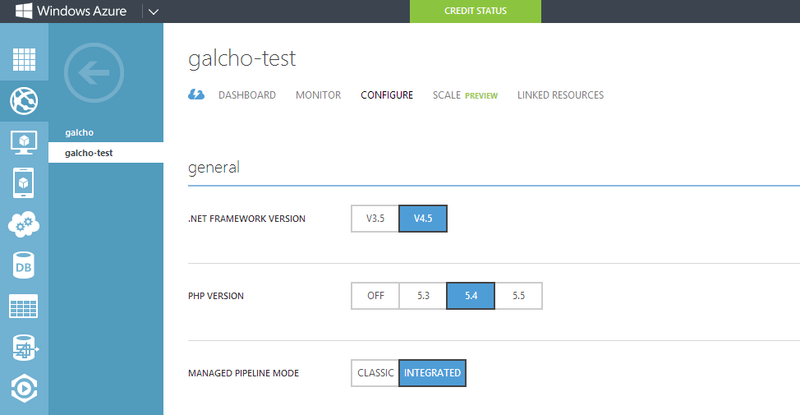 This makes transition to Azure websites very easy for this type of applications:. Hit save and the app is good to go. It has been a while since Windows 8 released a Developer preview. Although I installed regular edition is time for a refresh and just came across a nice guide to install Windows 8 on a VHD. A newly discovered vulnerability could allow DoS attack. Microsoft issued critical security bulletin MS11-100 on the case which contains update packages. This vulnerability could allow an anonymous attacker to efficiently consume all CPU resources on a web server, or even on a cluster of web servers. For ASP.NET in particular, a single specially crafted ~100kb HTTP request can consume 100% of one CPU core for between 90 – 110 seconds. An attacker could potentially repeatedly issue such requests, causing performance to degrade significantly enough to cause a denial of service condition for even multi-core servers or clusters of servers. At some point part of developing a website was creating its own AuthN system with credentials valid only for the website being built. Having lot’s of people doing this it created trouble for users remembering all the credential, emails, passwords, secret questions and so. Not to mention security implications. It is described very well in OAuth 2.0 spec and in OAuth 2.0 implementation on WLID. I will put the steps here for completeness. The client initiates the flow by directing the resource owner's user agent to the Live Connect authorization endpoint, by using a URL in the following format. This URL contains the client ID, requested scope(s), local state, and a redirection URI to which the authorization web service is to send the user agent after access is granted or denied. The authorization server authenticates the resource owner via the user-agent, and establishes whether the resource owner grants or denies the client's access request. Assuming that the user has granted access, the Live Connect authorization server redirects the user agent back to the client by using the redirection URI that was provided in the initial request. The user agent calls the client with the redirection URI, which includes an authorization code and any local state that was provided by the client. 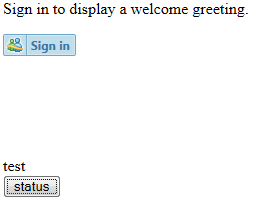 For example: http://contoso.com/Callback.htm?code=[authorizationcode]. The client requests an access token from the authorization server's token endpoint by using its client credentials for authentication, and includes the authorization code that was received in the previous step. The client includes the redirection URI that was used to obtain the authorization code for verification. The request URL has the following format: https://oauth.live.com/token?client_id=CLIENT_ID& redirect_uri=REDIRECT_URL& client_secret=CLIENT_SECRET& code=AUTHORIZATION_CODE& grant_type=authorization_code. The Live Connect authorization server validates the client credentials and the authorization code, and ensures that the redirection URI that was received matches the URI that was used to redirect the client in step 3. If the credentials are valid, the authorization server responds by returning an access token. Since It is based on so called 3rd party application first login is needed to accept consent form. 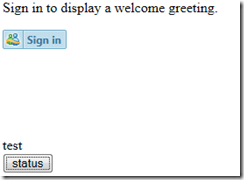 Microsoft has just released Building a Windows Phone 7 Application from Start to Finish in the MSDN Library. 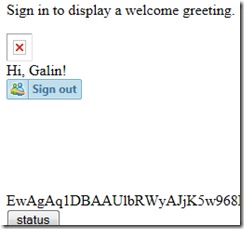 This is very cool tutorial for WP7 applications. This content is intended to help developers with common challenges by putting the features together in a complete application from whiteboard to marketplace. I just came across an interesting article how to use C# Async CTP about digging to internals and using some custom code to make t it applicable to Windows Phone 7 projects. Check it out: Async CTP on WP7. In case you haven’t played with C# Async CTP you probably should know this is next big thing in the world if multithreaded programming. Nowadays CPUs have more cores and by using I/O completion port and async programming model would make software solutions more scalable and threads will have less contention.